Working efficiently is key to overcome the demands of scientific research. That’s why our scientists have developed EasySep™—a smarter and more efficient way to isolate cells. We’ve spent years optimizing the EasySep™ cell separation protocol to be as fast as possible while maintaining high standards of performance. Immunologists around the world are making the switch to EasySep™ so they can accomplish more with their time in the lab. You should too. What cells can I isolate with EasySep™? We have over 260 EasySep™ kits and protocols to isolate more than 80 different cell types from a variety of species and sample sources. 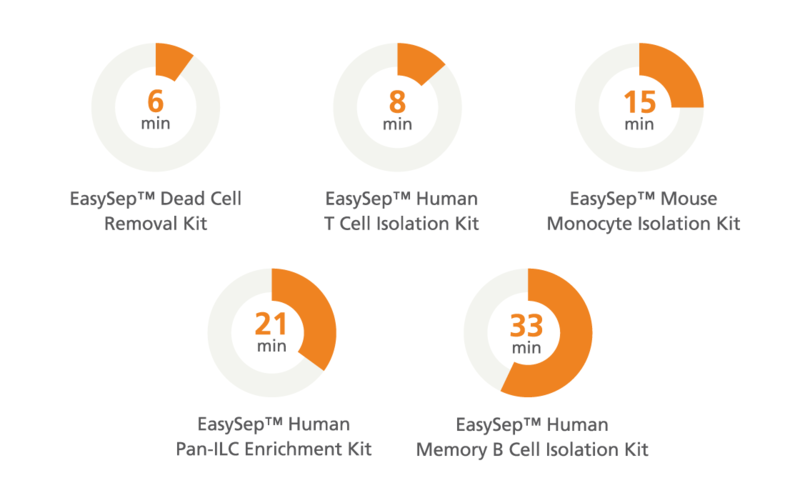 Some EasySep™ kits even allow you to use your own antibody so you can isolate virtually any cell type you want. 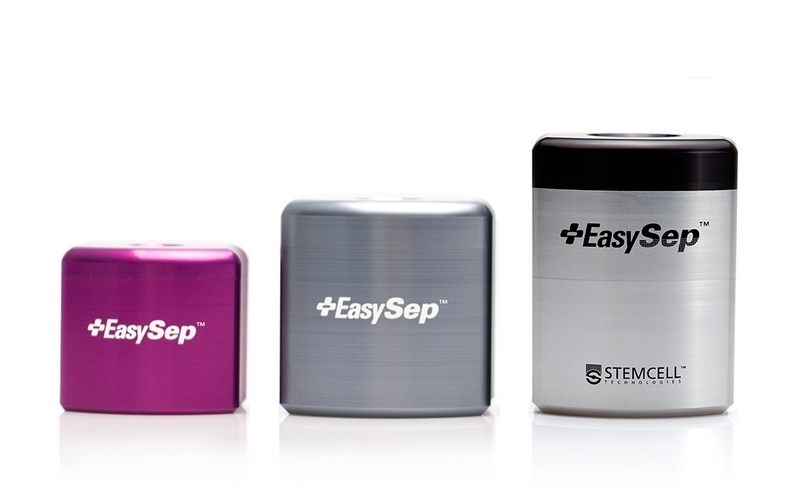 We also offer custom EasySep™ kits and will work with you to isolate your cell type of interest. Cells are targeted for either removal (negative selection and depletion) or selection (positive selection) using antibody complexes directed to specific cell surface antigens. The antibody complexes link targeted cells to EasySep™ magnetic particles. Labeled cells are pulled to the sides of the tube when the sample is placed in an EasySep™ magnet. Magnetically labeled cells will remain in the tube while the untouched cells can be simply poured or pipetted off into a new tube. 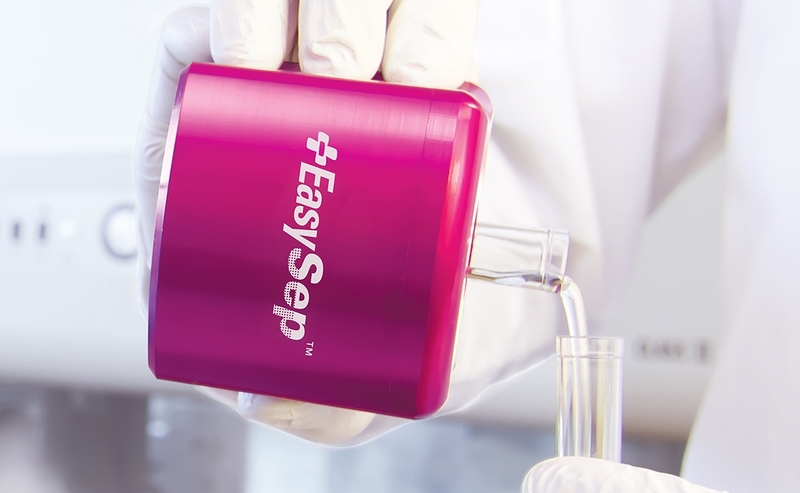 Is EasySep™ a well-accepted method to isolate cells? Absolutely! Since its launch in 2002, EasySep™ has been used by scientists all over the world to publish over 6,500 peer-reviewed articles. Will it be easy to switch to EasySep™? Like any new technologies, you would want to test it in your own lab first. This may seem like extra work initially, but switching to more efficient technologies will benefit you and your entire lab for years to come. Is EasySep™ really as fast as you say? Yes, it is. 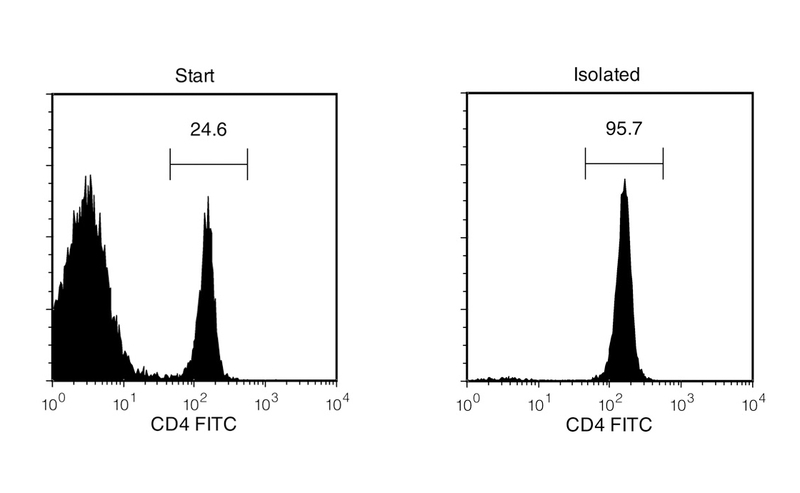 Common human immune cell subsets can be isolated in as little as 8 minutes, and common mouse immune cell subsets can be isolated in as little as 15 minutes. The median protocol time for all of our next-generation EasySep™ kits, including those for more complex cell types that require sequential separations (e.g. regulatory T cells), is only 20 minutes. Find a specific EasySep™ kit to determine your protocol time. EasySep™ saves significant amount of hands-on time for cell isolation, thus allowing me to invest more time on experimentation, functional assays and improve productivity. Will EasySep™ be easy to use? Yes, that’s where the name comes from. You just have to pour. Your cells will either be poured off or stay in the tube depending on the kit you are using. I was impressed by the easy-to-use procedure and the fact that it often takes less than 15 minutes to get the cells of interest. We regularly test our EasySep™ kits against other cell isolation technologies and we’ve found that EasySep™ is as good or better than the competition. Find a specific EasySep™ kit to determine the purity you can expect. Enriched cells obtained from the EasySep™ magnet have fewer non-specific cells than the competitor magnet. Is EasySep™ compatible with FACS? Yes. Many immunologists use EasySep™ to pre-enrich their samples prior to FACS to reduce sort time and maximize yield and purity. When sorting is required, we often enrich with an EasySep™ kit first to decrease sorting time, which in turn results in increased viability of our cells. With less consumables you will likely pay less than what you’re paying right now. Depending on your current technology, EasySep™ may also reduce wasted materials and environmental cost. Contact us to discuss pricing. EasySep™ is more cost-effective due to the lack of consumables. As a result, we have been able to do more experiments for our money. For a lab that does a lot of separations, not using columns makes a difference quickly. Of course! Everyone has different needs and different downstream applications, so we encourage you to try it for yourself first before you purchase. Can I get help setting EasySep™ up in my lab? Yes you can. We can even send a cell separation specialist to your lab to give you a live demo and help you optimize. Just request a sample and a specialist will introduce themselves to you. You are ready to switch. We are confident that once you try it, you won’t go back to your old cell separation method. Don’t just take our word for it. Separate facts from claims yourself. Contact us if you have more questions about EasySep™.